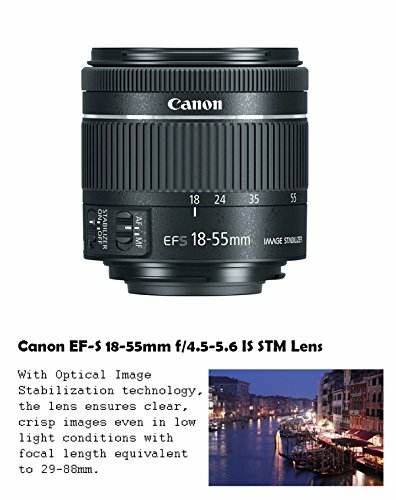 Canon EF-S 18-55mm f/4-5.6 IS STM Lens provides optical image stabilization of up to 4 stops of correction against camera shake with clearer images, even in dim light. 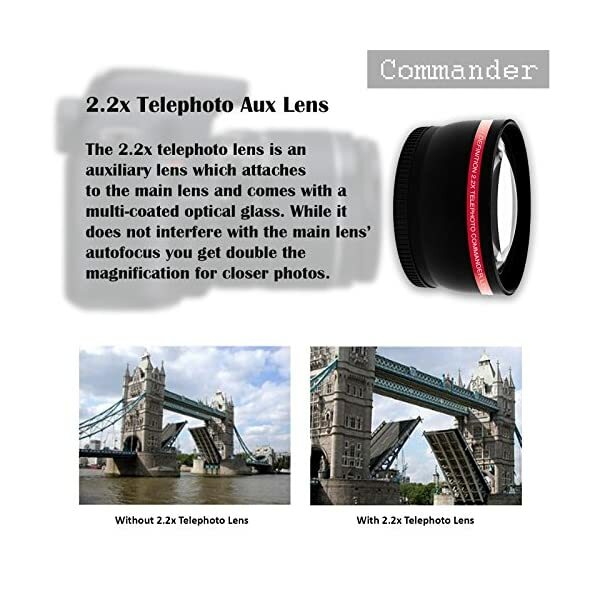 A high-precision aspherical element reduces chromatic aberration throughout the zoom range for high resolution and contrast. 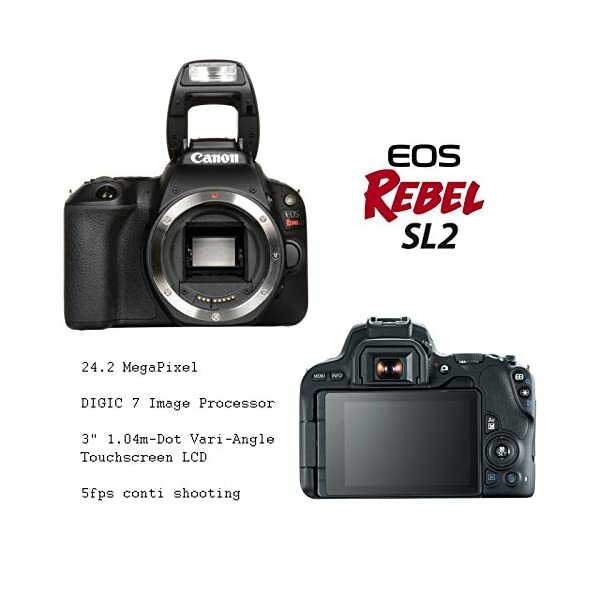 The sleek and compact Canon EOS Rebel SL2 DSLR Camera provides users with a completely-featured light-weight system that would possibly not weigh them down. Packed into the tiny body is a capable 24.2MP APS-C CMOS sensor and a DIGIC 7 Image Processor, either one of which work together to create sharp, vivid images at native sensitivities up to ISO 25600 and extended sensitivities up to ISO 51200. 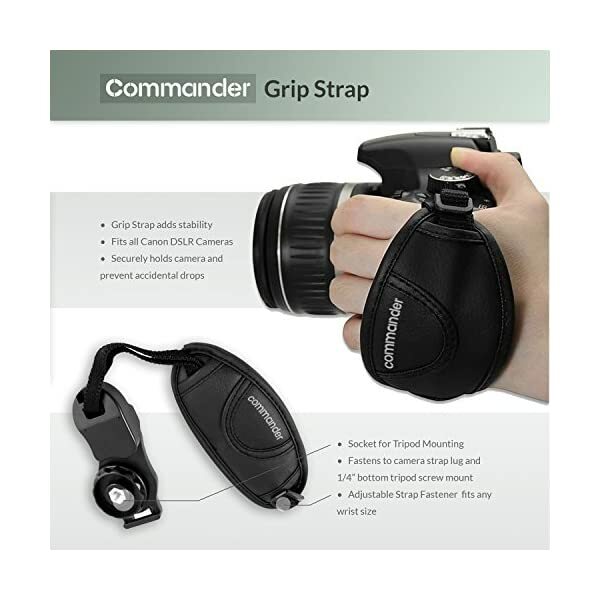 Video shooting with Full HD 1080p recording is imaginable at up to 60 fps. 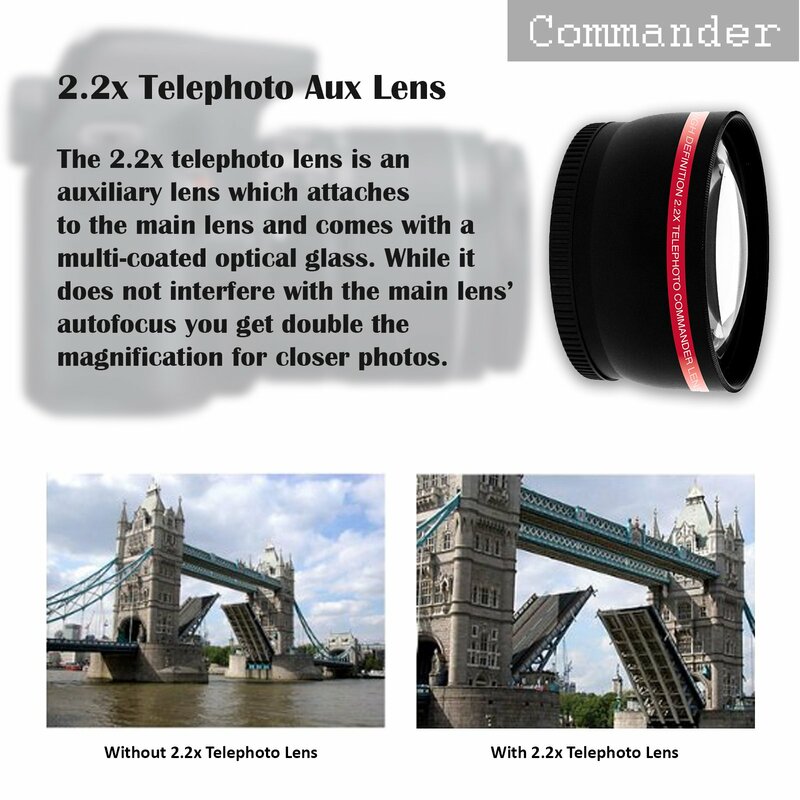 1x Commander 32GB and 1x Commander 16GB memory card. Great choice for compact to mid-range shoots – Twice As Fast As Odd SDHC Cards. 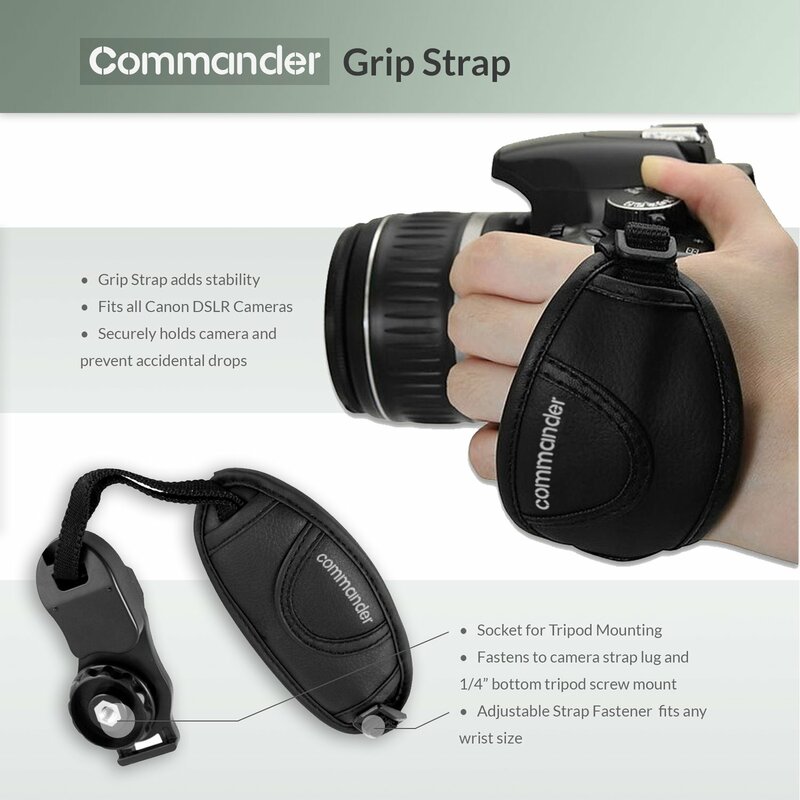 USB cable for simple picture & video sharing. 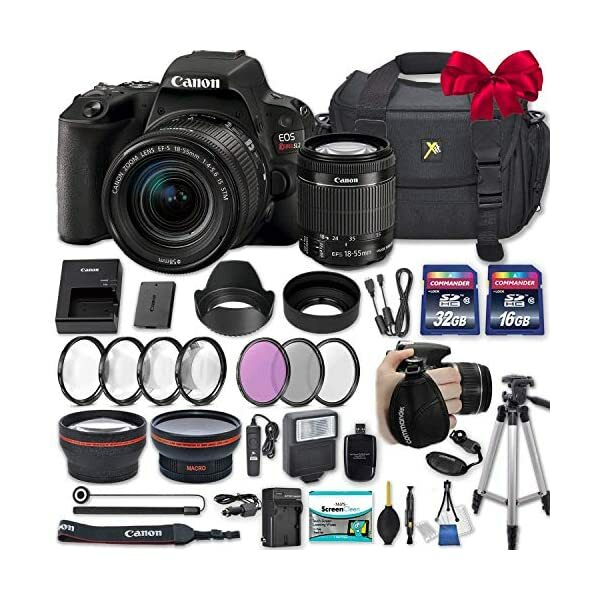 Canon EF-S 18-55mm f/4-5.6 IS STM Lens provides optical image stabilization of up to 4 stops of correction against camera shake with clearer images, even in dim light. 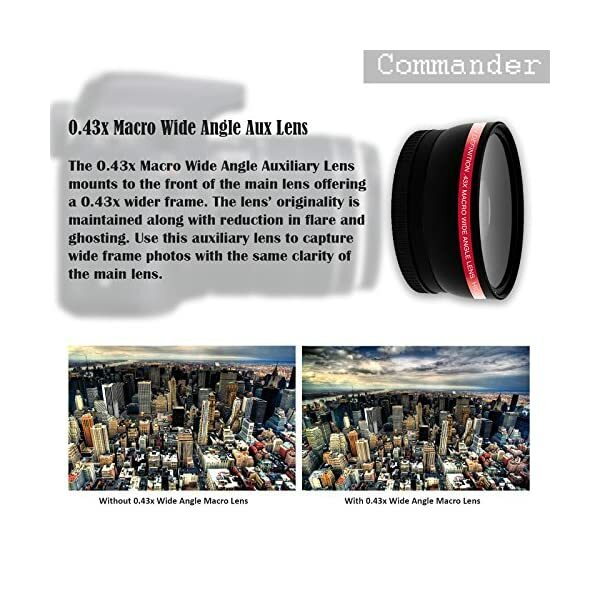 A high-precision aspherical element reduces chromatic aberration all the way through the zoom range for high resolution and contrast. 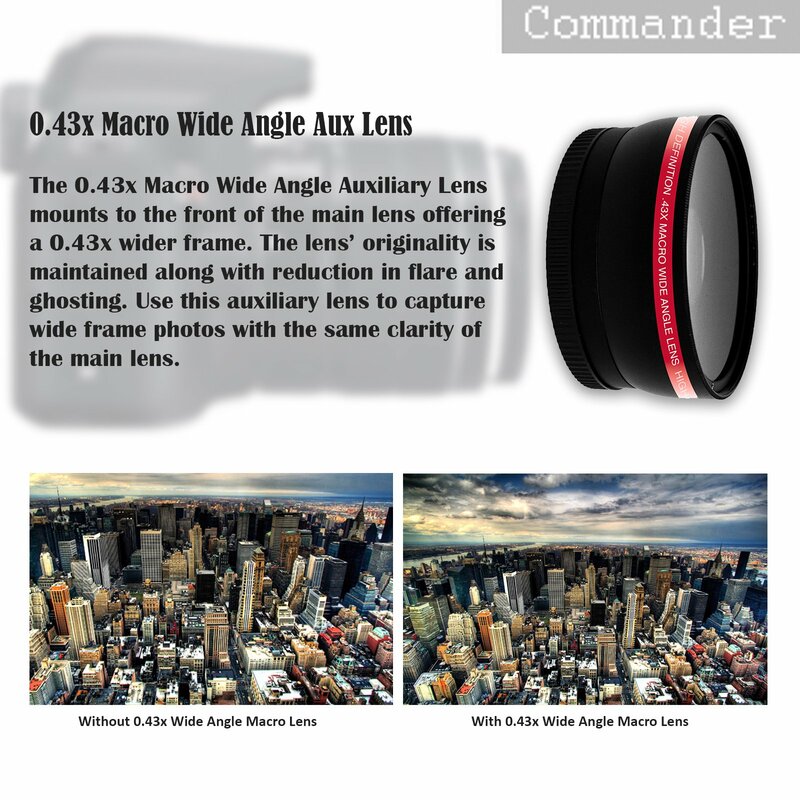 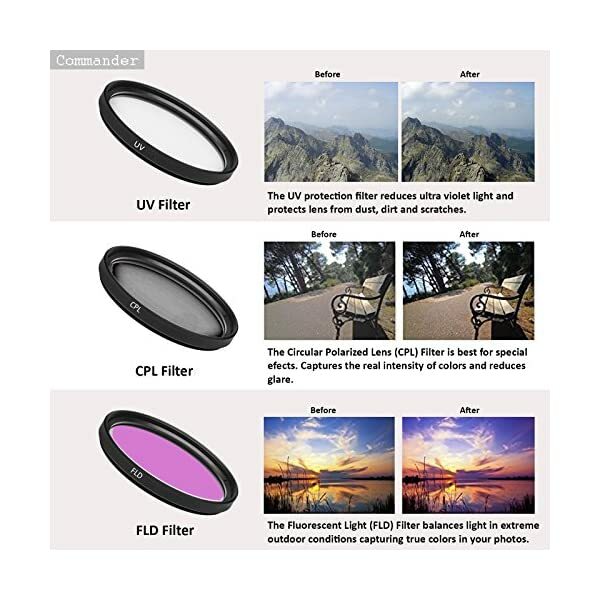 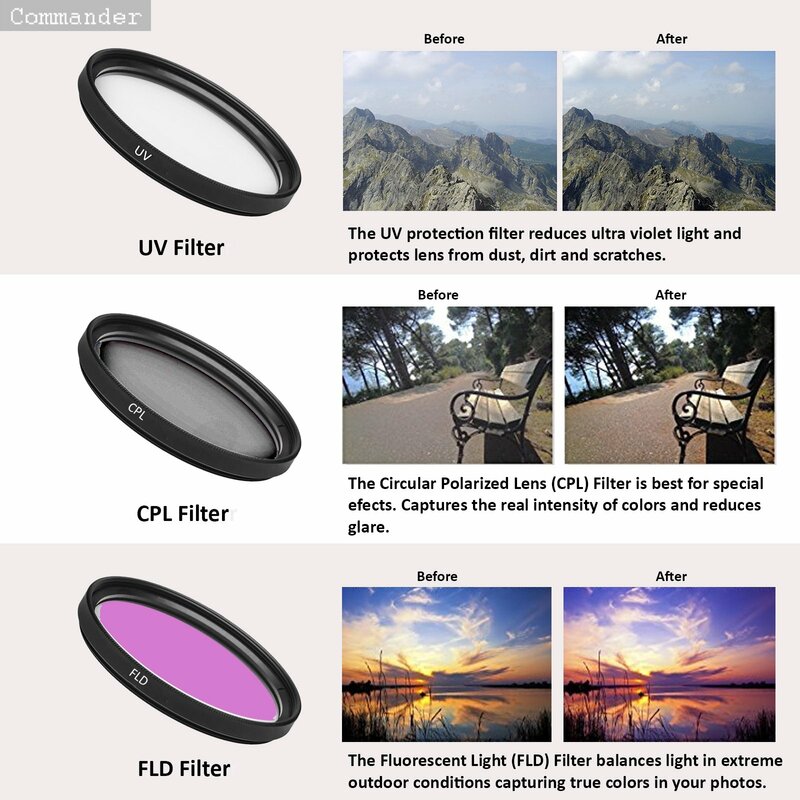 Premium Commander Accessories including Commander Aux 2.2x Telephoto Lens, Commander 0.43x Aux Macro Wide Angle Lens, Commander 3 Pcs Filter kit, Commander 4 Pcs Macro Close-Up Kit and more. In addition the bundle includes 50 inch tripod, 2 lens hoods, a slave flash, Soft padded water resistant camera case, Canon original battery, Canon original battery charger, Canon camera strap, 32GB Sandisk memory card and more.